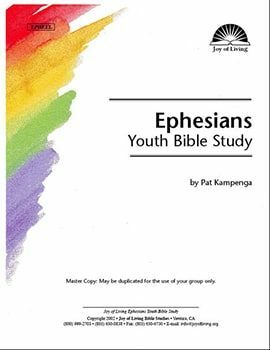 *The Ephesians Adult Study contains 21 lessons, so the Youth Study does not match up to the Adult Study lesson-by-lesson. Ephesians focuses on God’s eternal purpose and grace. Paul emphasizes that we have been saved, not only for our personal benefit, but also to bring praise and glory to God. God has reconciled individuals to Himself, and has reconciled these saved individuals to each other, breaking down the barriers between Jew and Gentile, male and female, slave and free.